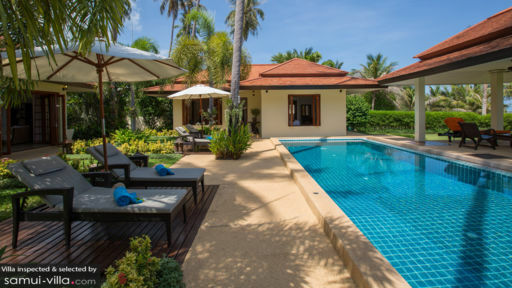 We loved the villa with its 3 separate buildings, beautiful garden, superb pool and location right at a very quiet near private beach! The staff was amazing. Thanks for a fabulous holiday! Baan Tawan Chai was a perfect choice for us to stay on our honeymoon. We have been back in the US for almost a month now, and we can't stop thinking about our stay. The staff was very kind and helpful, and made delicious food for us every day. The grounds were simply gorgeous and it was on a great private beach that made us feel like the island belonged just to us. Next time we make it back to Koh Samui, we will definitely return to Baan Tawan Chai. We only wish we had more time to stay there. Thank you to all the staff (Thoy and Jai) and to Nikki for taking such good care of us! Baan Tawan Chai offers maximum comfort in luxurious surroundings, yet maintains a feeling of home from home. 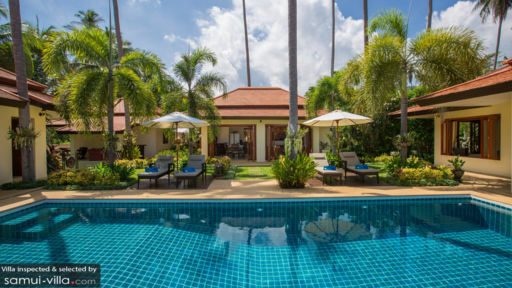 A perfect retreat for families young and old in a wonderful tropical setting but has easy access to all of the local attractions. Thai hospitality at its best. Loved it so much the first time, I decided to go again and was not disappointed, in fact was very much impressed by the service of the staff and the fact that the incredibly high standard had been maintained. 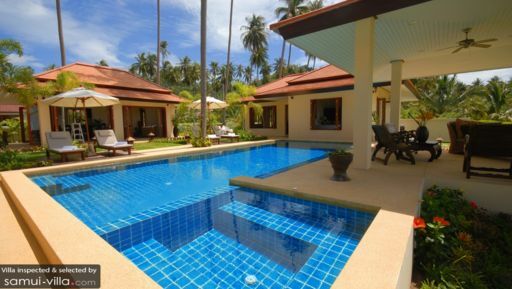 Would encourage everyone to try this beautiful villa and all that it has to offer.